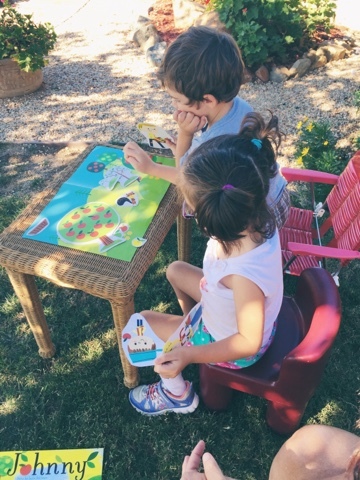 There are many reasons that I chose to homeschool Tiny B and I plan on going into those reasons in future posts. 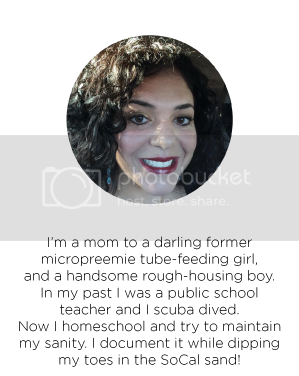 Many times I'm asked why I would purposefully choose to homeschool after having been a public school teacher for ten years. Aren't the two methods in complete opposition to each other?? My answer is: yes and no. I've chosen to send her to a public charter homeschool where she actually does attend some time in class. Strong B is attending a public preschool which is perhaps the most beautiful school I've ever seen. Not aesthetically, but because the makeup of the school is half typical and half special needs kids, with credentialed teachers who love what they do. 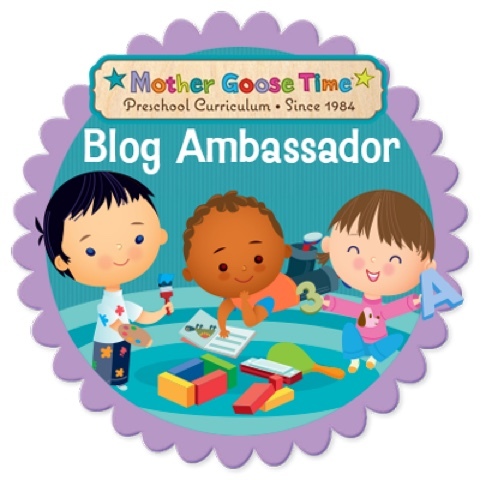 He still gets to use the Mother Goose Time curriculum at home along with her, with the amount depending on our schedule for that particular day. In short, I've chosen the best option for me and each of my children at this point in our lives and every single year I will ask myself what that best option is! My hope is that it is homeschool forever, and maybe even branching off completely on our own, but for now, our set-up is perfect. I will always have a place in my heart for public education because it is where I spent ten years in my own classroom and a few years before that student teaching. I loved my students with all of my heart and I know that most public school teachers feel the same way. If for some reason I need to send them to public school, then that is what I'll do! But for as long as possible, I will enjoy the lovely days that we get to spend together. 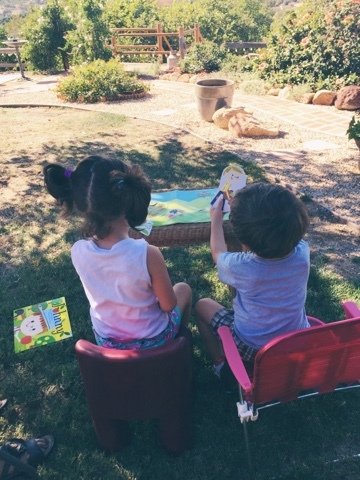 One of the reasons that I love love love homeschooling is that we can spend as much or as little time on an activity as we need or desire. This isn't possible in a classroom full of kiddos. The standards dictate that you must move through each learning objective quickly. Because Tiny B is only in transitional kindergarten, and this year is a "gift" (the name given by my education supervisor at our charter school), I can breathe and watch and enjoy her learning. The same applies even more so with Strong B. In preschool, they learn through play! If he happens to learn his letters along the way (which he is!) then that's fabulous! 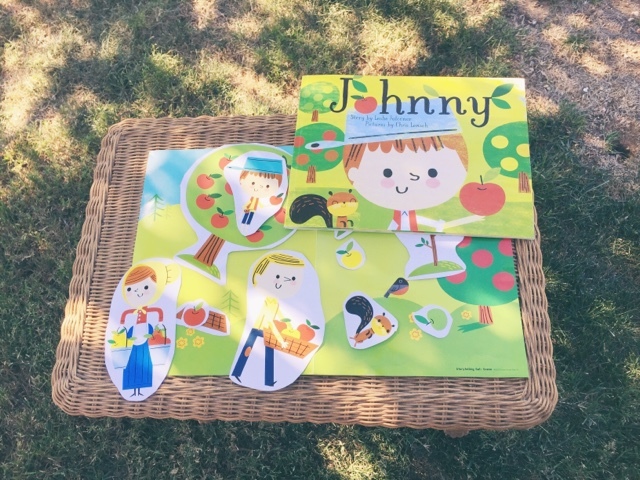 A particular activity that really caught my eye and my heart this month using Mother Goose Time (MGT) is the Johnny Appleseed storytelling board. I wants to share this with you because it was so lovely, and because MGT would like us to do a post regarding language. I'm going to focus on listening and speaking in particular. I reread the story to them and then put out the props. I asked them to retell the story using the materials I provided. Strong B had had enough and decided to go terrorize my mom, so Tiny B completed the rest of the activity by herself. She retold the story in the way that a 5 year-old does. (She's 5). I was able to check for her listening skills and comprehension. She did understand and was able to retell. It was a quick re-telling. What she really wanted to do was make up another story! And this she did...for more than an hour! Talk about extending the activity by herself. MGT really allows for this, and as I've grown more knowledgeable about their curriculum, I've learned to extend it in my own ways--in ways that I see that she needs. Yesterday we were supposed to write funny names on a paper banana, and instead, we wrote funny names on another paper and wrote the letters that MGT is focusing on this month: O, A, and R, on the bananas. How fun is that! 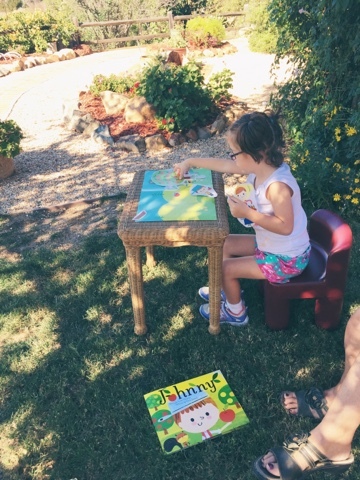 Tiny B is in speech therapy, and what perfect time to practice her skills! I didn't focus on articulation (pronouncing all of the sounds correctly) but I focused on her vocabulary. Actually, I didn't even have to focus on it...she did it herself! You should have heard the little voices she used for each character. I left her at the dining room table because I felt that sitting and watching her was not conducive to her extending this herself. But I listened. She came up with all sorts of scenarios, a lot of which she was encountering in her own life. The characters had nice friends and friends who weren't so nice, a family member who had passed away, and parents who told them what to do (ahem!). She talked and talked and talked, and then it was time for us to leave. I packed it up in a resealable plastic bag knowing that I just had to bring it out again. 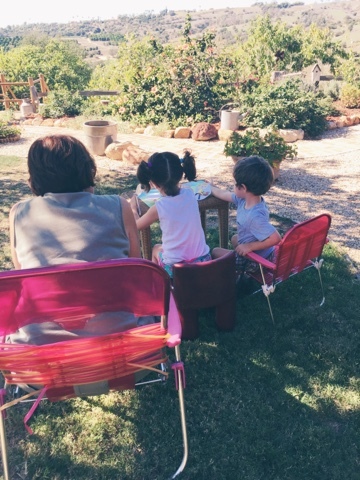 Today I brought it out at my mom's house, on the day after Halloween, a Sunday, (another perk of homeschooling--doing it whenever), and watched to see what would happen again. I started by summarizing the story myself so that they could hear what summarizing sounds like. I showed them most of the pictures in the book. I would have reread the entire book but I didn't know how long Strong B could hold his attention today and I really wanted to see him do storytelling. He held the pieces and watched her tell her own story. This time she didn't want to summarize what she had just heard. He adores his big sister. He was all ears. All ears for about three minutes that is...But just hearing and watching her invent stories is a huge learning experience for him! Strong B had flowers to pick, hills to climb, and bugs to catch. Tiny B continued her own story, and when Strong B suggested it was time to ride bikes, Tiny B could not resist. There's a time for everything while in preschool. I'm so thankful that we can spend Sundays doing school and riding bikes. And doing Mother Goose Time.